I'll be back in full force soon. 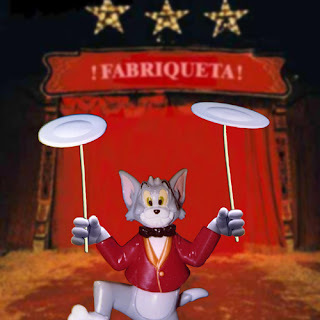 Lately, I've been spinning extra plates, and after WB Animation gets moved, I'll be able to report on the times. Sorry for the lame delays! WATCH THIS VIDEO in the meantime. I turn 42 today, and believe it or not, I feel pretty good about it. And since the novel "Summer of '42" is a coming of age story, I'll be all the more happy to apply that to me and proclaim that I'm just getting started. You spend the first 18-20 years of your life growing up and learning your manners. These 20 years shouldn't count against you. The next ten, you're figuring out what you REALLY want to do. (and this commonly has nothing to do with your degree you may have earned in college - mine is in music education) Again, these years, though they wear on you, shouldn't count against you, at least in your feeling of accomplishment. The next ten, you're finally mastering HOW to do what you really want to do. Here you have some minor and hopefully a few major successes, bringing you to about the age of 40. You're ready to move on to the "meat" of your career. Then you apply the saying that "40 is the new 30." Then, take away the first 20 and the next 10. Well, with all that math spinning around, I'm really around 2. How many times have you thought how great it would be to go back to when you were a child, AND still know what you know now? Well, I've just done it! I figure that this gives me at least another 40-50 years to enjoy doing what I'm doing. If I decide to call it quits earlier than that, then all the better. 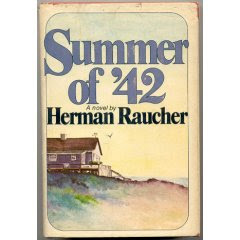 For now, I'm focused on getting the most out of this Summer of 42.